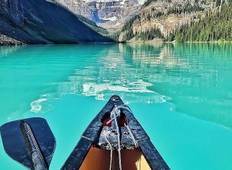 Find a Adventure trip that explores Banff National Park. There are 78 tours to choose from, that range in length from 3 days up to 211 days. The most popular month for these tours is July, which has the most tour departures. "Great guide, literally awesome destinations. Good camp sites (though hot water and..."
"We had a fabulous tour with really well informed and organised tour guides. The hotels..."
"Excetionaly , informative on all aspects of the tour , and entertaining, related..."
"Thinking of seeing the Rockies but want more? 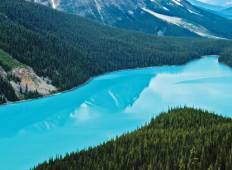 This tour delivers everything in spades...."
"Iconic Rockies and Western Canada:13 days by coach and ferry, fine hotels that were..."